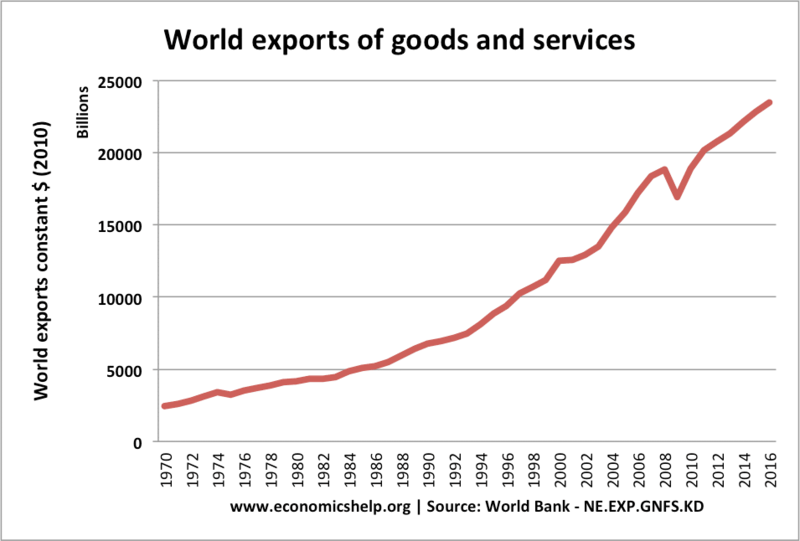 Home > Economics help blog > trade > What caused globalisation? Readers Question: Evaluate the significance of the factors which have contributed to globalisation. Globalisation is not a new phenomenon. The world economy has become increasingly interdependent for a long time. However, in recent decades the process of globalisation has accelerated; this is due to a variety of factors, but important ones include improved trade, increased labour and capital mobility and improved technology. Improved transport, making global travel easier. For example, there has been a rapid growth in air-travel, enabling greater movement of people and goods across the globe. Containerisation. From 1970, there was a rapid adoption of the steel transport container. This reduced the costs of inter-modal transport, making trade cheaper and more efficient. Improved technology which makes it easier to communicate and share information around the world. E.g. internet. For example, to work on improvements on this website, I will go to a global online community, like elance.com. There, people from any country can bid for the right to provide a service. It means that I can often find people to do a job relatively cheaply because labour costs are relatively lower in the Indian sub-continent. Growth of multinational companies with a global presence in many different economies. Reduced tariff barriers encourage global trade. Often this has occurred through the support of the WTO. Firms exploiting gains from economies of scale to gain increased specialisation. This is an essential feature of new trade theory. Financial system increasingly global in nature. When US banks suffered losses due to the sub-prime mortgage crisis, it affected all major banks in other countries who had bought financial derivatives from US banks and mortgage companies. Improved mobility of capital. In the past few decades, there has been a general reduction in capital barriers, making it easier for capital to flow between different economies. This has increased the ability for firms to receive finance. It has also increased the global interconnectedness of global financial markets. Increased mobility of labour. People are more willing to move between different countries in search for work. Global trade remittances now play a large role in transfers from developed countries to developing countries. It is hard to precisely define globalisation there are different interpretations of what we actually mean, therefore, there are different factors that explain it. Improved technology is undoubtedly very influential in helping globalisation; without technologies such as the internet and global communication, it would not have been possible to witness the increased interdependence of companies and countries. Increased free trade is important. However, there are various trade barriers still in existence, and this has not stopped the growth of globalisation. Could there be a backlash against globalisation as people look for local alternatives to multinational products? I think this is unlikely as people prefer the security of buying established brand names. 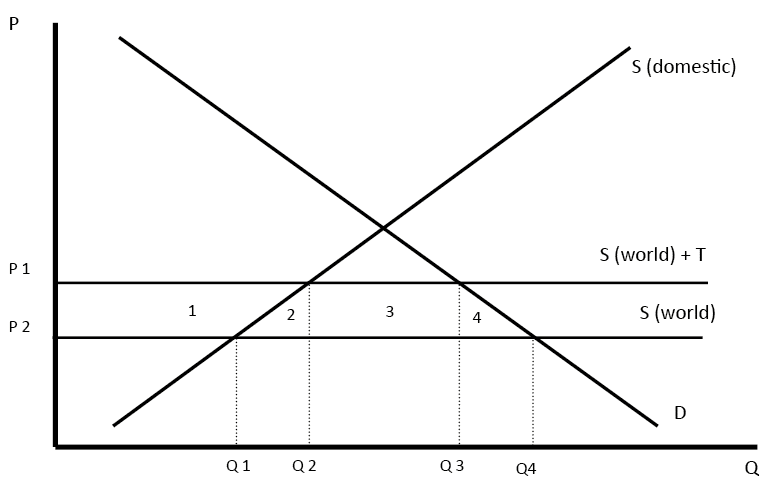 I would draw a diagram for trade creation, showing how the removal of trade barriers increases exports and imports. Also, economies of scale are very important for encouraging increased specialisation of global production. 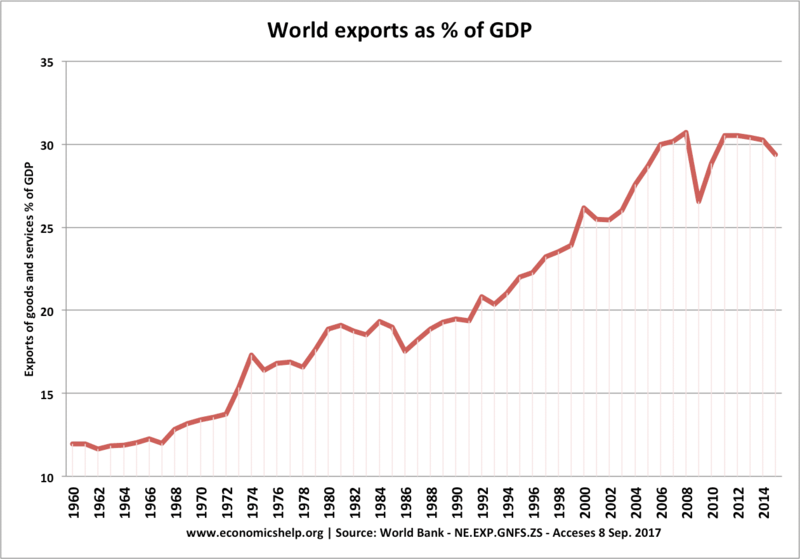 Exports increasingly important to world economy. ← What is the opposite of shrinkflation? globalisation is a process which has always been around, it didnt just suddenly start. Due to the rapid increase and the development of technology globalisation has become obvious to us and has gotten a stronger grip on our planet. Major factors like economic, social, political, cultural, technological, all contributed to the globalization. Danger is looming large for Australia having been cut off from the Chinese One Belt One Road initiative. I love to hang out with my friends.